Judy Mastrangelo releases "Fairy Tale Fairies" with Imagination Books. The third in a brand new series from an acclaimed artist. "Fairy Tale Fairies" from Judy Mastrangelo. "PORTAL TO THE LAND OF FAE"
Be sure to collect the entire four book set. The third of these books is her "FAIRY TALE FAIRIES." Judy Mastrangelo is a world-renowned artist and author, especially known for her depictions of the Fairy Realm. Her paintings follow in the fine art tradition of the Artists of the Golden Age of Illustration. This "FAIRY TALE FAIRIES" book depicts several famous, much beloved stories about elves and fairies. Included are many of her colorful, intricate and beautiful fairy tale-themed artwork, accompanied by excerpts from these classical stories. Most of the tales were written by great authors of classical literature, and others are Judy's own original stories. Judy invites all who enjoy the Realm of Fantasy to enter into the Land of Imagination with her. Her intricate visions of fantastical stories, such as those from her series illustrating William Shakespeare's A MIDSUMMER NIGHT'S DREAM will be sure to amaze you. Here you will be treated to her detailed renditions of delightful characters such as Puck, Titania, Oberon, and scores of tiny elves and fairies, who dwell in a magical forest. You will also enjoy her illustrations from tales such as Hans Christian Andersen's THUMBELINA, Perrault's CINDERELLA, Greek myths such as ORPHEUS, James Barrie's PETER PAN, and THE VELVETEEN RABBIT by Margery Williams. Judy's "PORTAL TO THE LAND OF FAE" books are sure to delight those of all ages who enjoy these amazing, whimsical beings. "Beautiful illustrations with wonderful descriptions from the best fairytales. Very enjoyable, colorful and magical." 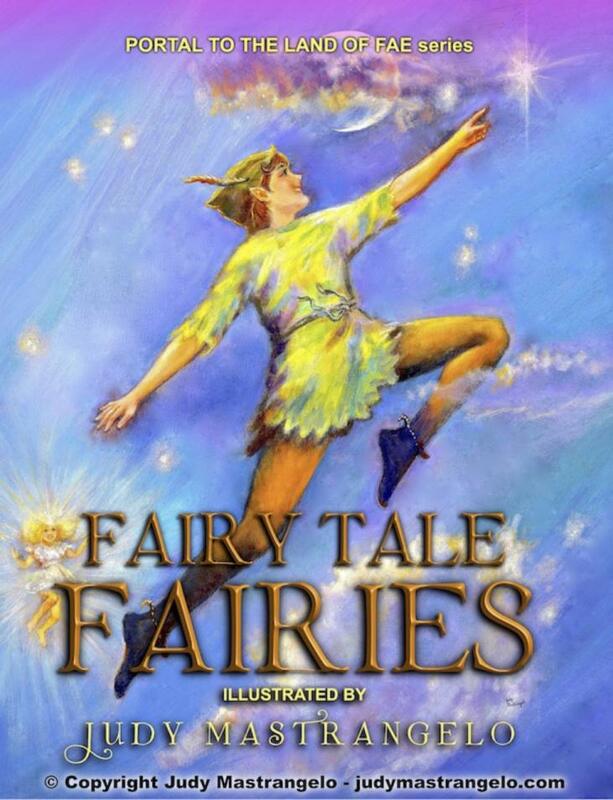 Judy hopes you will like her fanciful "FAIRY TALE FAIRIES" book.